Wargame News and Terrain: Element Games: Discounted Warhammer 40K Imperial Knights, Armiger Helverins and Imperial Knights - Renegade Starter Set! 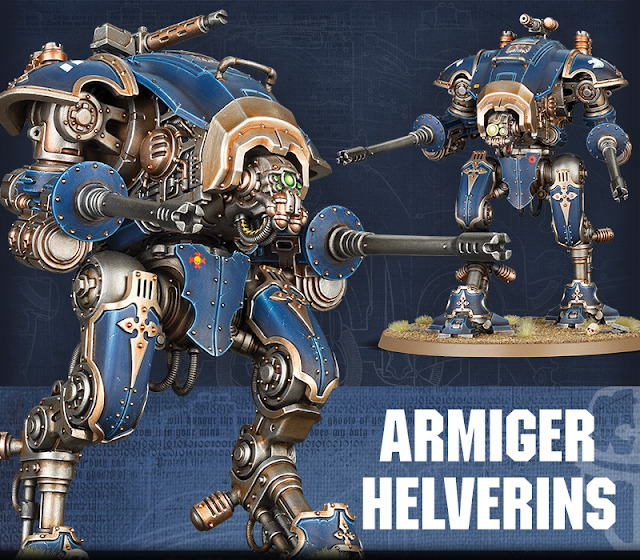 Element Games: Discounted Warhammer 40K Imperial Knights, Armiger Helverins and Imperial Knights - Renegade Starter Set! 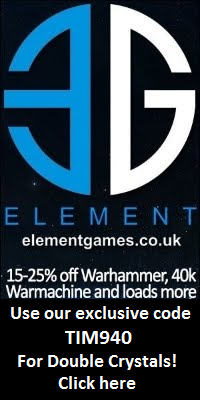 Element Games: Discounted Warhammer 40k Games Workshop Pre-Order - Field massive Imperial Knights and Armiger Helverin Companions! 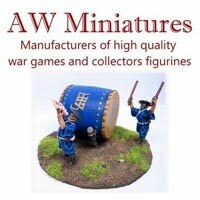 Save Money, Fight Titanic Battles! 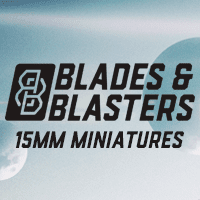 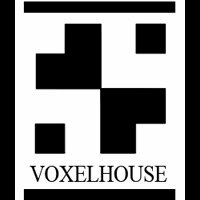 Grab your discounted miniature here at Element Games and use our TIM940 code for double loyalty points! 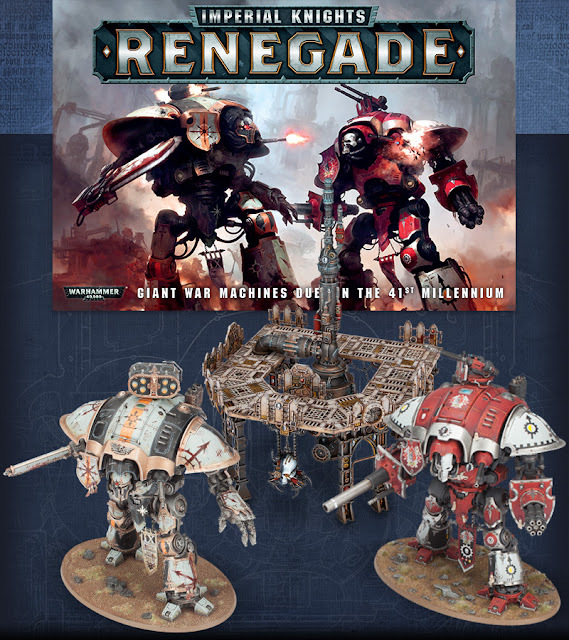 Go head to head in all-out combat, causing death and destruction on a colossal scale with Imperial Knights: Renegade boxed game, or pre-order the Sacristan Forgeshrine for your games and benefit from bonuses and buffs for ALL friendly nearby Imperial Knights! 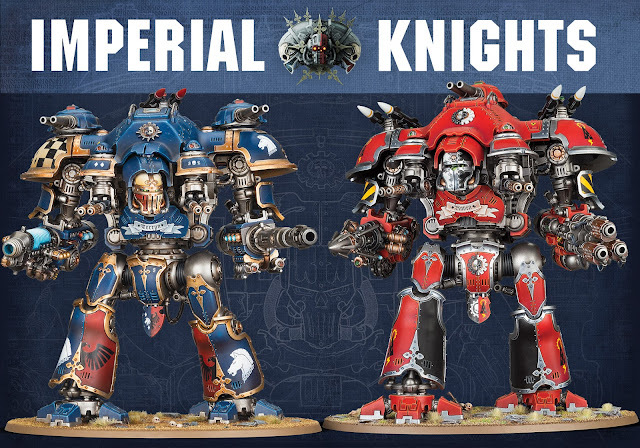 There are also three new Black Library books for Warhammer 40,000 players as well as a nifty Imperial Knights Battle Gauge and beautifully designed Imperial Knights Battle Gauge featuring 5 vertices of varying lengths to help determine distances in combat.